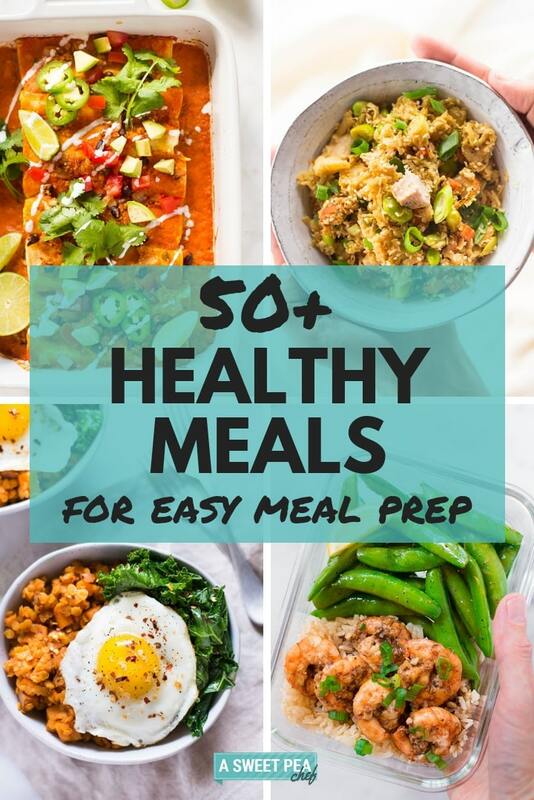 Discover the world of healthy dishes with these 50+ meal prep recipes that will help you to save time and to eat healthy all the time. These easy, healthy recipes are simple enough for anyone who wants to eat healthy and prep ahead. People always ask me how do I manage to maintain a clean eating lifestyle while doing many other things on a daily basis. The answer is simple: Meal Prep. It might surprise you, but I don’t like to cook 3 meals from scratch every day of the week. I don’t have time for that. So I rely on meal prep. I also rely on easy healthy recipes. I like to save time and to have healthy dishes in the fridge all the time. In this way, I have no reason to eat something that’s not healthy or good for me. If you are like me, you’ll love these meal prep recipes. All these healthy meal ideas are perfect for people who are busy but want to eat healthy. I know anyone who tries to eat healthy struggles with finding healthy dinner ideas or easy lunch ideas. Including me. Finding healthy dishes that are tasty and loved by the entire family can be a tricky journey. However, I believe it’s possible. And I have 50+ recipes that support my theory. No need for complicated steps and compromising on taste, simple healthy recipes can be amazing. And easy. Easy is the word of the day so if you are looking for easy healthy recipes, you are in the right place. 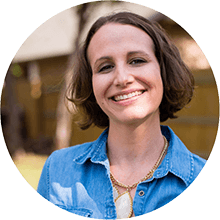 Before we get started with the tips and recipes, let me introduce you to the trusty tools I use for these delicious healthy recipes. 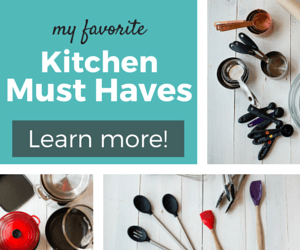 I can count on these any time I want to cook easy healthy recipes for my family. Mason jars for healthy lunch recipes. I told you that I struggled with finding delicious healthy recipes. I am serious. I did struggle a lot when I began my clean eating journey. Not anymore. Because, after testing many healthy meal ideas, I realized simple healthy recipes are the best. As long as you use the right ingredients and you embrace meal prepping, you don’t have to struggle with your meals anymore. 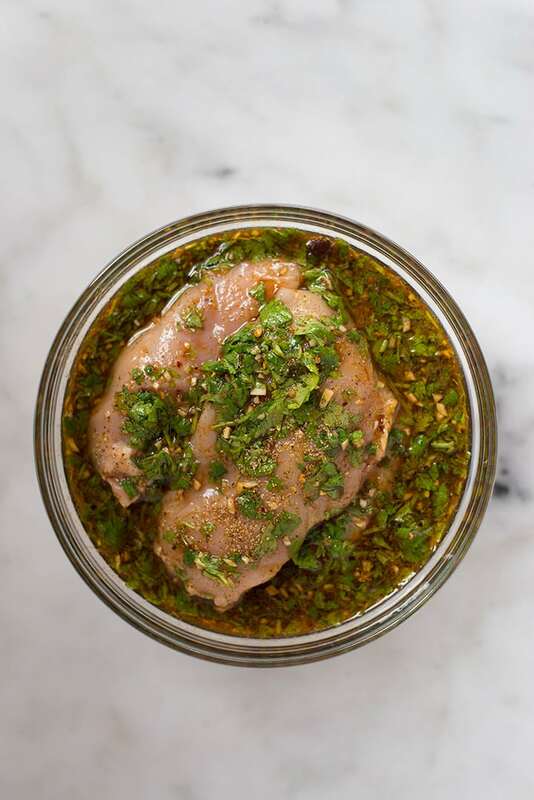 Chicken breast is a healthy lean protein, but if you don’t want to get tired of it, you have to make it taste amazing – make marinades, experiment with spices, and use your slow cooker to prep and cook chicken. I know grilling chicken is very easy but there are other options that are just as easy but also more delicious. Use natural ingredients and stay away from processed, refined ingredients. Natural ingredients are healthier and they will make your healthy dishes taste better too. 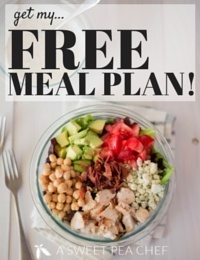 Make a plan and try meal prep recipes – meal prep recipes will allow you to have easy healthy meals in your fridge all the time. Opt for low-carb options in your favorite dishes – cauliflower is a great rice alternative and zucchini noodles work great instead of pasta. If you do this, you won’t have to part ways with your favorite comfort foods, you’ll just make them better. 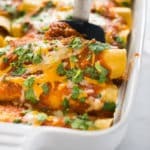 From healthy dinner ideas to healthy lunch recipes and from quick healthy meals to slow cooker meals, this list of easy healthy meals will give you all the options you need to make your meals taste better. 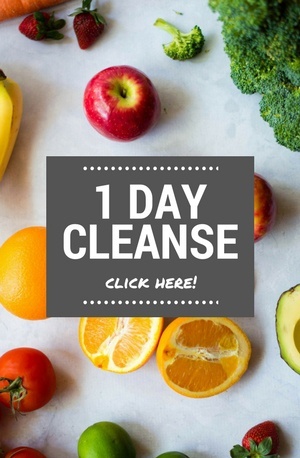 And it will make your life stress-free because you have everything you want in one place – recipes, prep and cook time, calories, and a brief description of the healthy dishes. 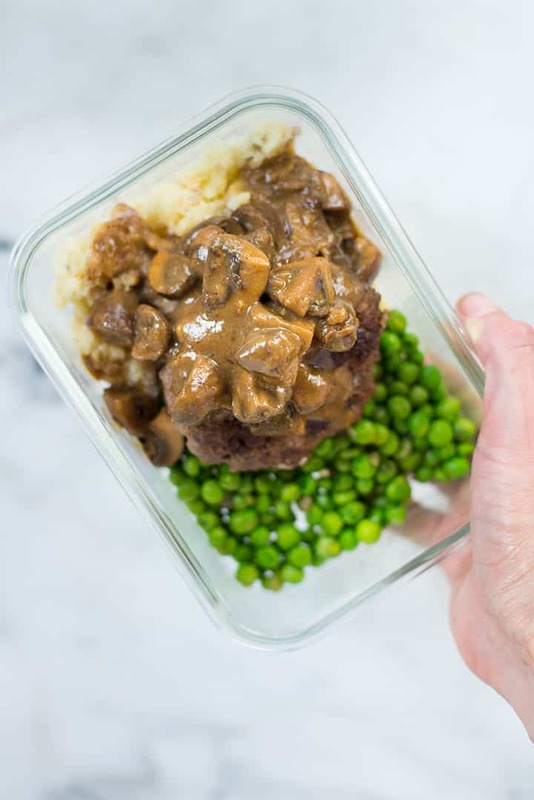 Learn How To Meal Prep: Salisbury Steak Recipe and make a delicious weeknight dinner that is a healthy version of the traditional Salisbury Steak. This healthy dinner is quick, easy to make, and perfect for meal prep. Looking for healthy 30 minute meals? How about this 15 Minute Healthy Shrimp Scampi Recipe? Yes, it takes only 15 minutes to make this delicious and flavorful shrimp scampi. 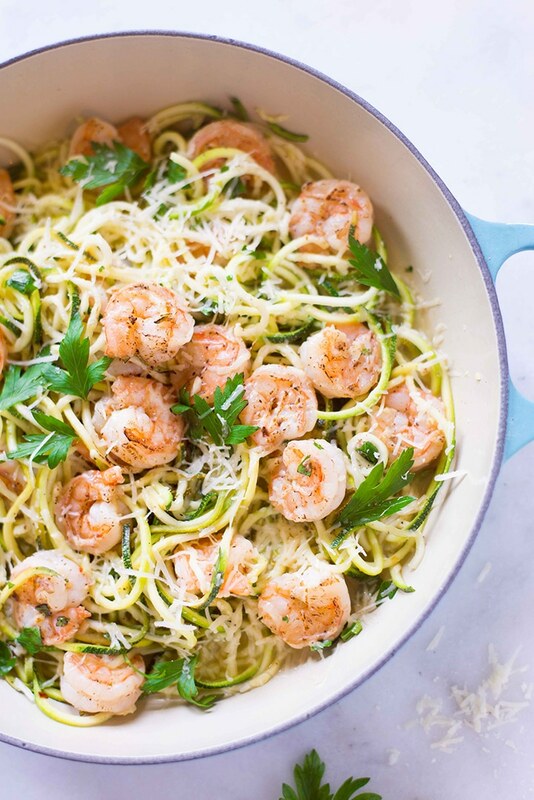 Pair the shrimp scampi with zucchini noodles and you’ve got yourself a very healthy dinner. Love quick healthy meals that are also a bit fancy and delicious? Try the Easy Pan Seared Scallops! 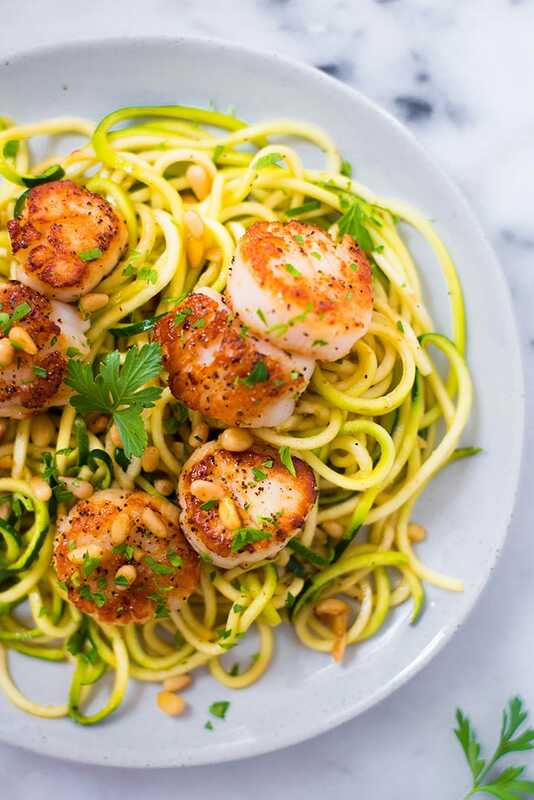 Ready in 20 minutes, simple but flavorful and totes amazing, the Easy Pan Seared Scallops are great for a healthy dinner or even a healthy lunch. 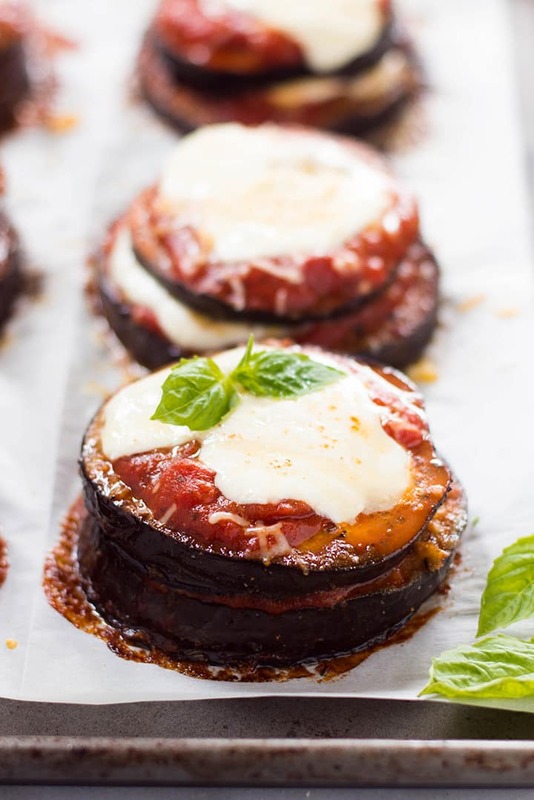 This 35 Minute Easy Baked Eggplant Parmesan (Just 265 Calories!) 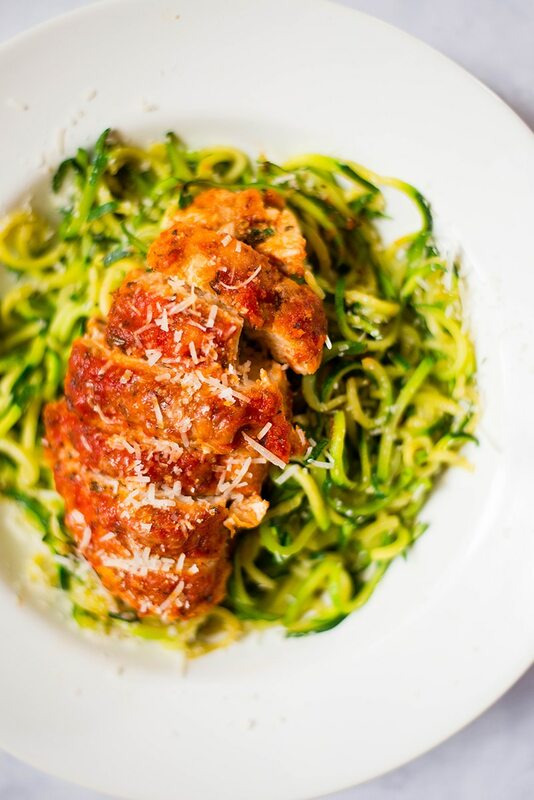 is a delicious Italian healthy meal that is paleo and gluten-free. This is a flavorful, delicious, and unforgettable meal and you should definitely add the recipe to your list of healthy lunch recipes. In need of easy lunch ideas? 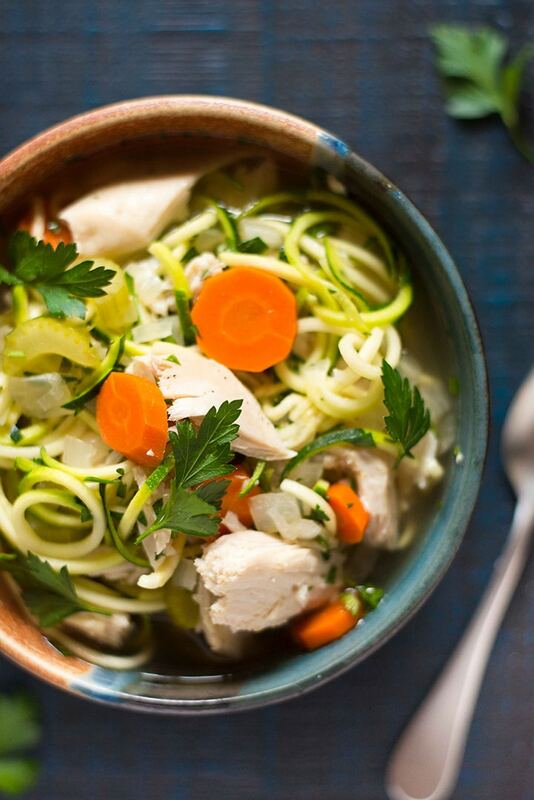 Try the Slow Cooker Chicken Noodle Soup (A Healthy Meal Option! ), it’s great for lunch but it makes a perfect light dinner too. It’s low-carb, gluten-free, healthy, but still comforting and delicious. 6. HEALTHY SLOW COOKER BEEF STEW – PERFECT MAKE AHEAD DINNER IDEA! 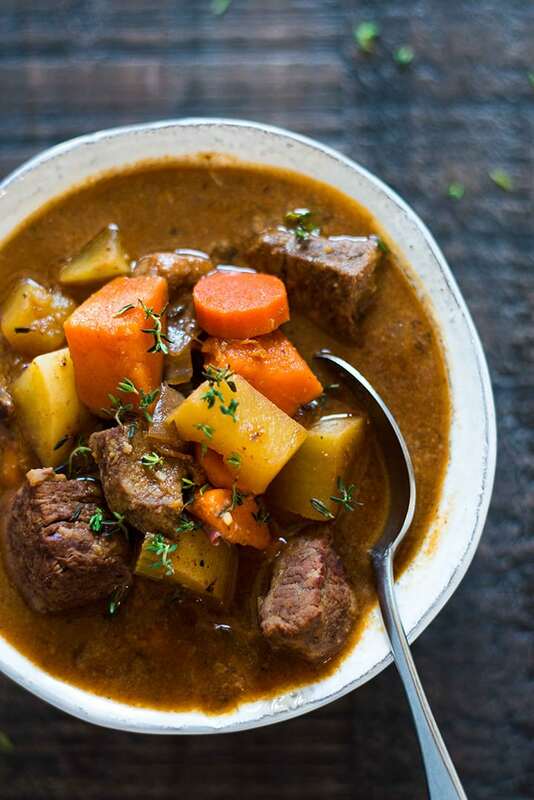 This Healthy Slow Cooker Beef Stew is one of the best healthy dinner ideas I ever had. It’s hearty, rich, comforting but it’s still clean and healthy. 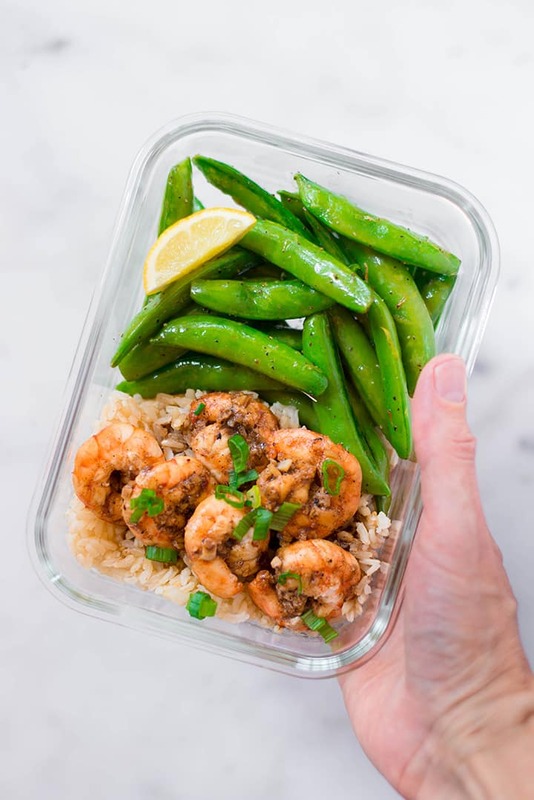 The Honey Garlic Shrimp Meal Prep (Under 350 Calories!) is one of the easiest meal prep recipes, It’s also a quick low-fat, high in protein meal that should immediately go on your easy lunch recipes list. 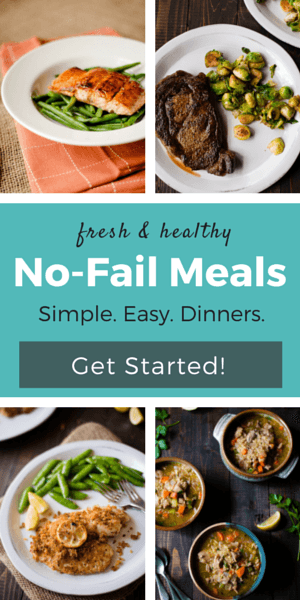 Do you love comfort food recipes turned into healthy easy recipes as much as I do? 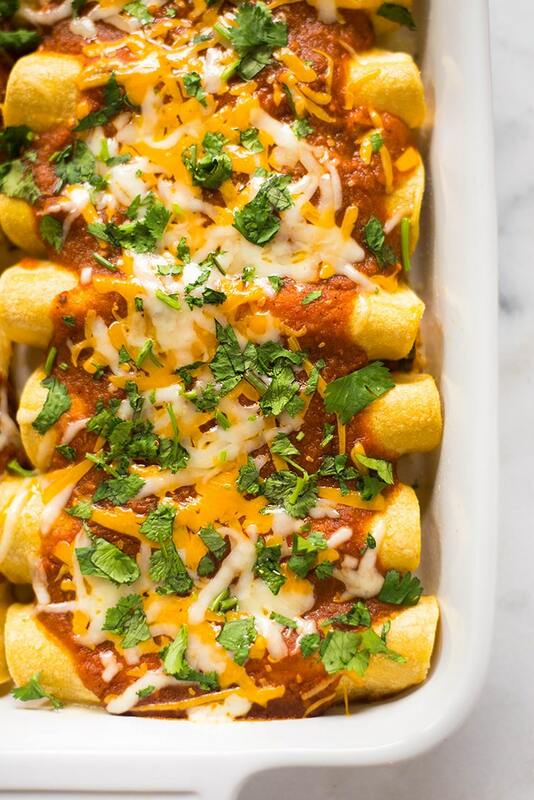 If your answer is YES, this Shredded Chicken Enchiladas is the right recipe for you. 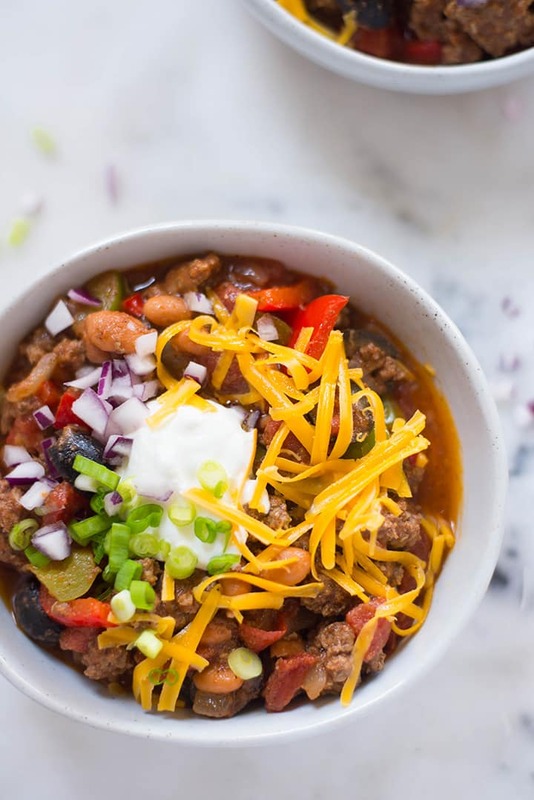 For a healthy dinner that’s satisfying, low in calories, and totes delicious, learn How To Make Homemade Chili (Easy Weeknight Dinner Idea!). This is one of those meal prep recipes that you will come back to very often. Nashville Hot Chicken is flavorful, spicy, and delicious. 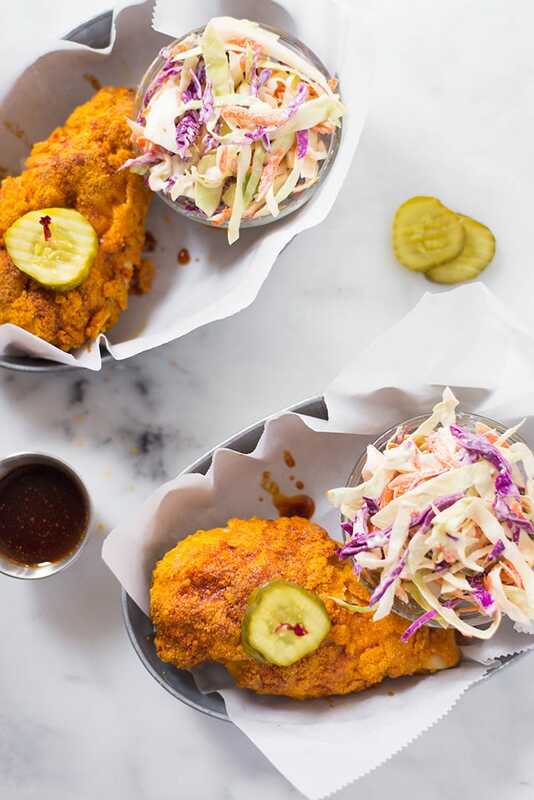 And if you learn How to Make Nashville Style Hot Chicken Healthy you can enjoy it guilt-free all the time. Do you need healthy meal ideas that are kid-approved? Most of the easy healthy meals included here (except the spicy ones, obviously) are kid-approved but nothing beats the Salmon Fish Sticks. 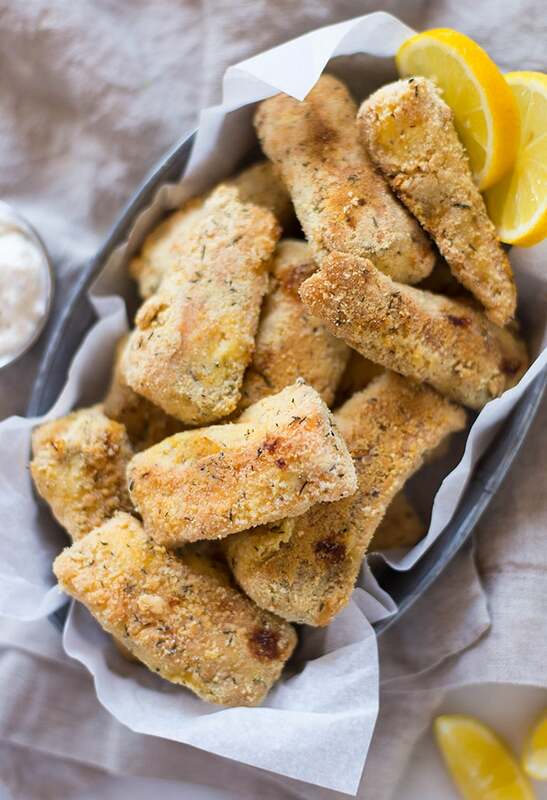 And yes, these are healthy fish sticks! Woot! 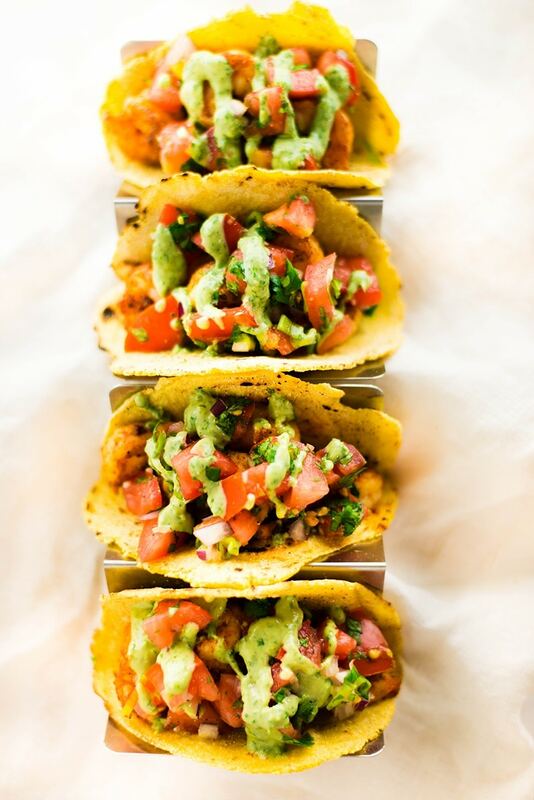 These Spicy Shrimp Tacos are the epitome of quick healthy meals. You can put them together in 15 minutes and you’re set with a healthy meal that includes shrimp tacos topped with fresh pico de gallo and a creamy avocado cilantro lime crema. I love meal prep recipes because they make my life easier. 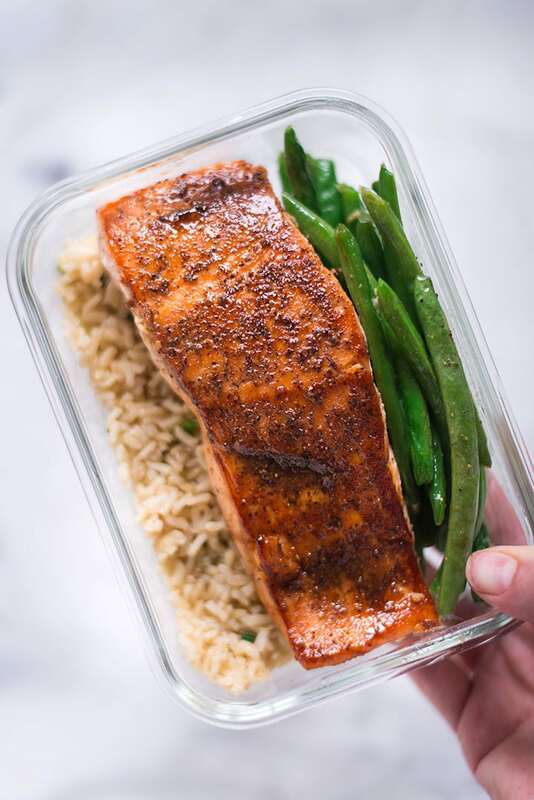 Check out How to Meal Prep – Salmon and discover how, in only 40 minutes, you can meal prep a budget-friendly meal that can be stored in the fridge for 4-5 days. 4-5 days of lunch or dinner ready in just 40 minutes, yes. How amazing! 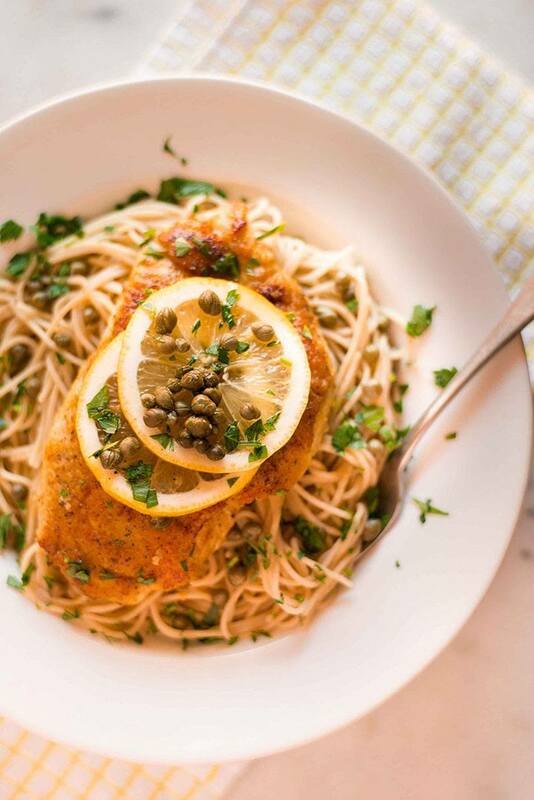 Make this Easy Chicken Picatta for a healthy version of this amazing comfort food. It’s just as delicious as the original but healthier and better for you. These Make-Ahead Greek Quinoa Stacks are great healthy 30 minute meals you should make if you are out of easy lunch ideas. Fresh, full of flavor, and a healthy and amazing lunch option for busy days. Healthy 30 minute meals are super easy with an instant pot. 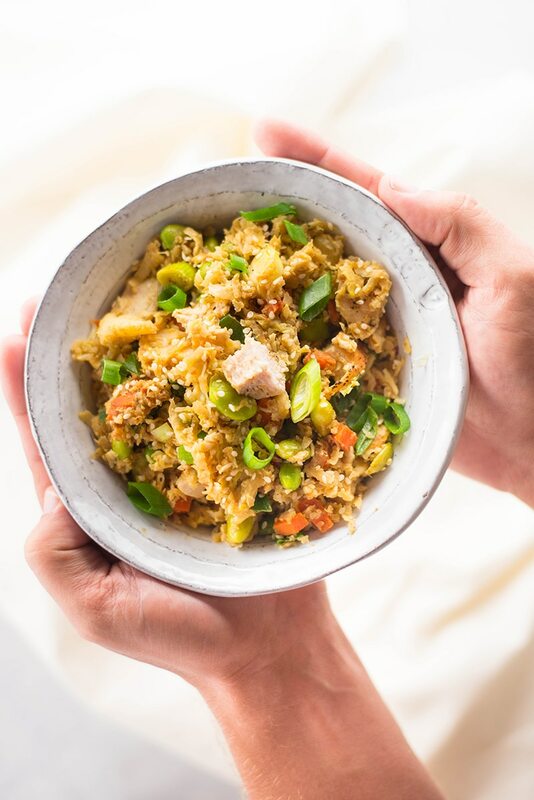 This Instant Pot Quinoa Chicken Bowl is healthy and easy to make. 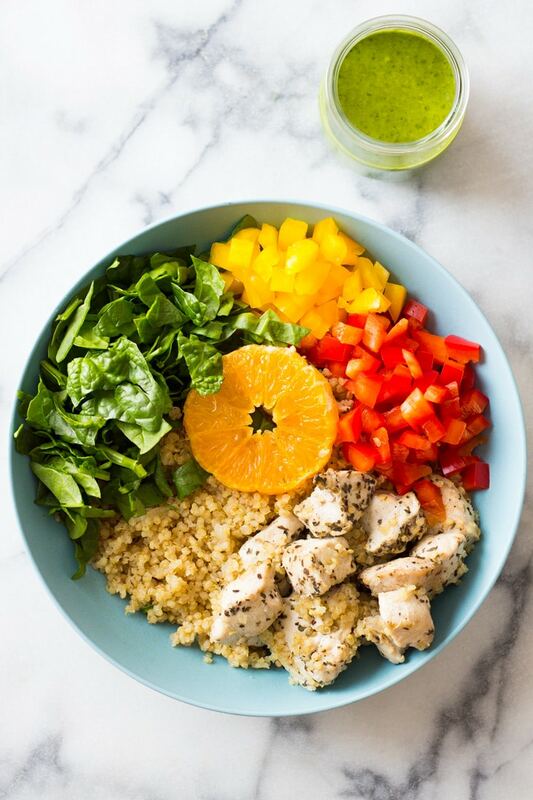 Bonus – a delicious clementine basil dressing that’s perfect for the quinoa chicken bowl. 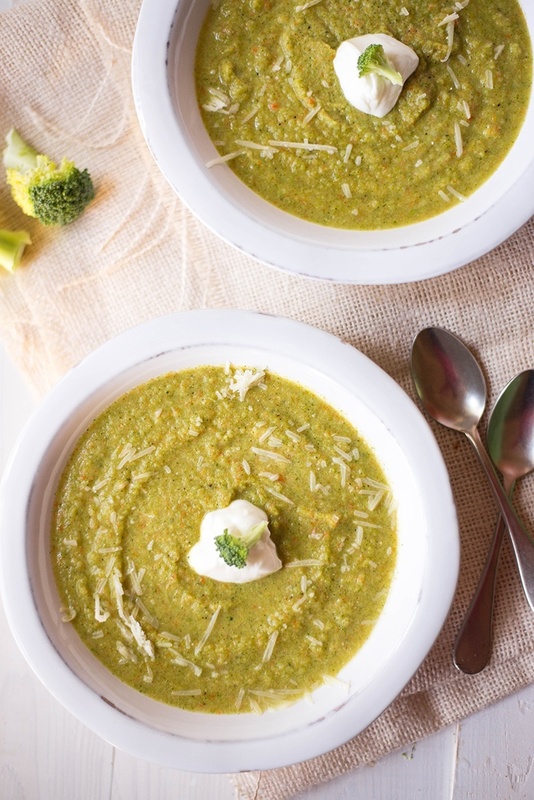 One of the easiest healthy lunch recipes – Easy Cream Of Broccoli Soup is ready in 25 minutes and it’s filling, flavorful, and yummy. 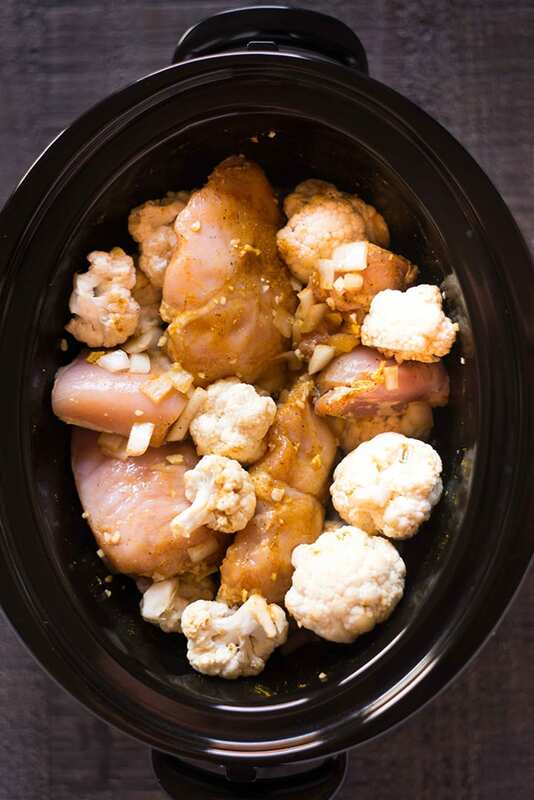 Make chicken and fried rice low-carb and turn it into easy healthy meals by replacing white rice with cauliflower. 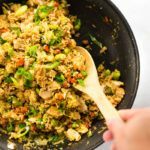 You have all the tips in this 25 Minute Chicken Cauliflower Fried Rice post. 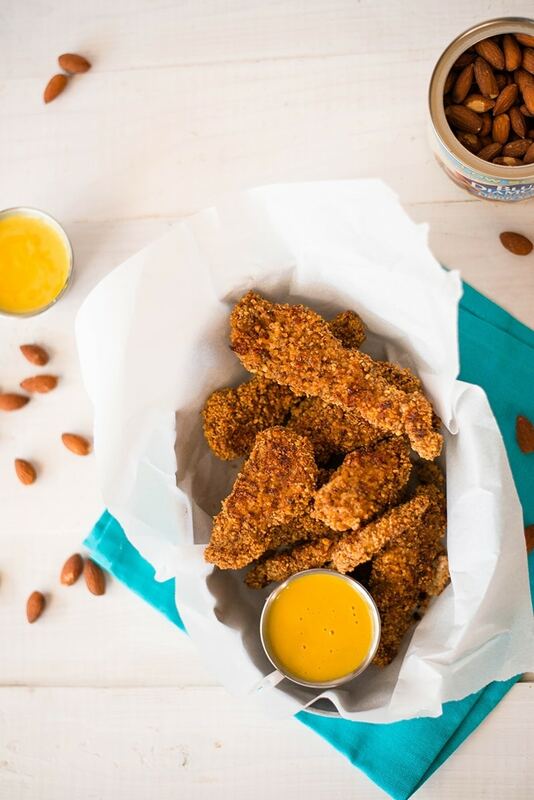 When you’re out of healthy dinner ideas, make classic comfort foods healthy like I did with these Baked Almond Chicken Strips. They are better than regular chicken strips. 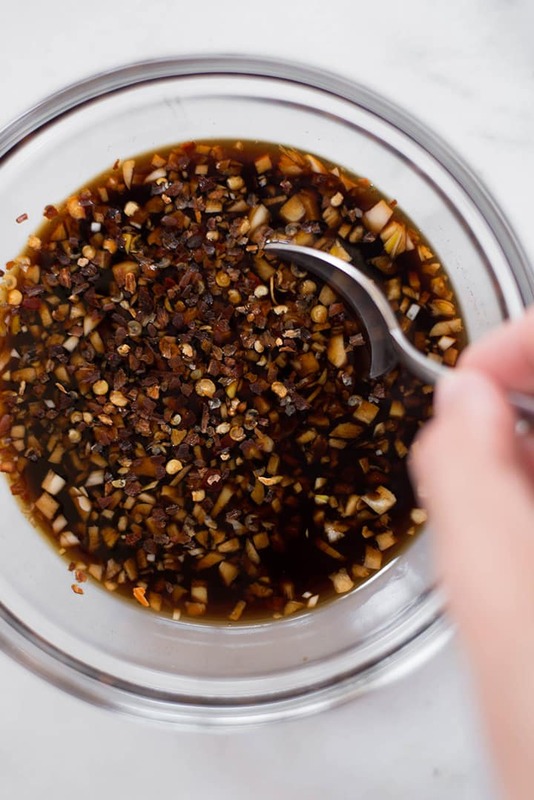 And they go perfectly with a clean honey mustard dipping sauce (the recipe for the dipping sauce is included too). More healthy meal ideas that are kid-approved? 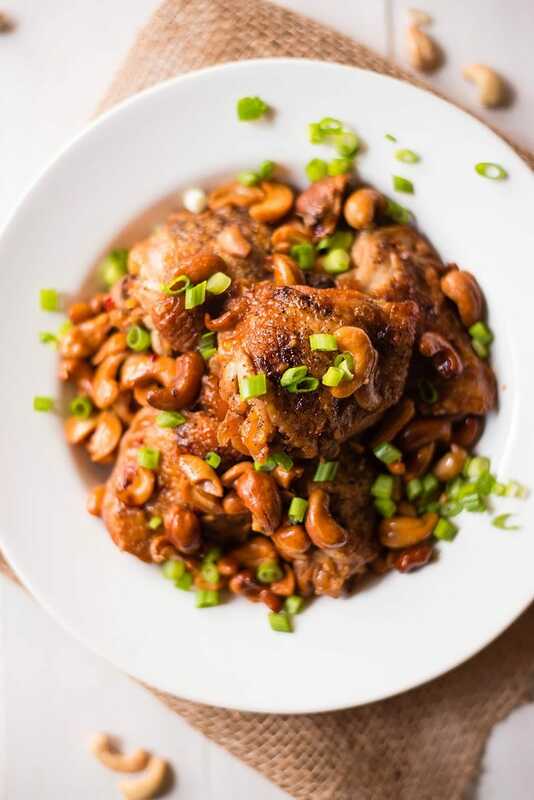 How about this Slow Cooker Cashew Chicken? It’s delicious and perfect for a weeknight dinner. My favorite easy and healthy meals are the ones that require little to no clean-up but are tote delicious and healthy. 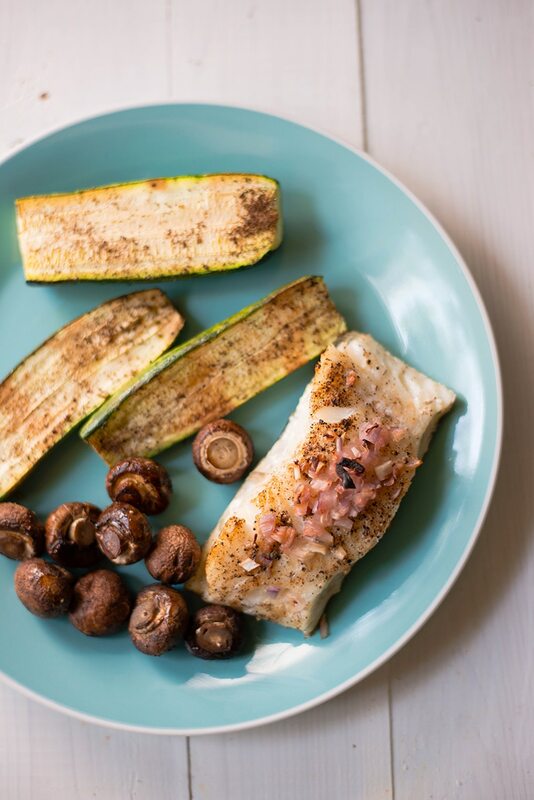 Like this Baked Sea Bass And Zucchini Sheet Pan Recipe. 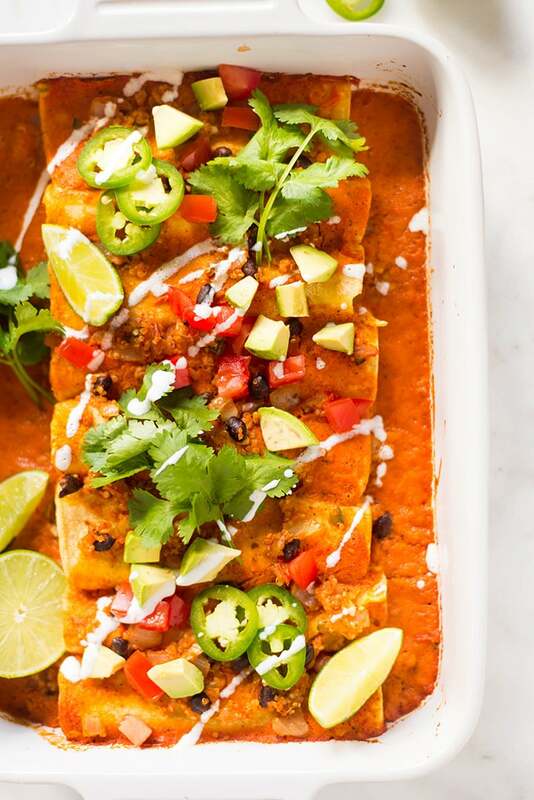 Tasty, satisfying, and perfect for enchilada cravings, this Spicy Quinoa and Black Bean Vegan Enchiladas allows you to eat comfort food without compromising your healthy lifestyle. Healthy Quinoa Make Ahead Casserole – easy lunch idea but also great for dinner. The Healthy Quinoa Make Ahead Casserole is delicious, comforting, and easy to make. When you think about easy lunch recipes, salads probably pop into mind. 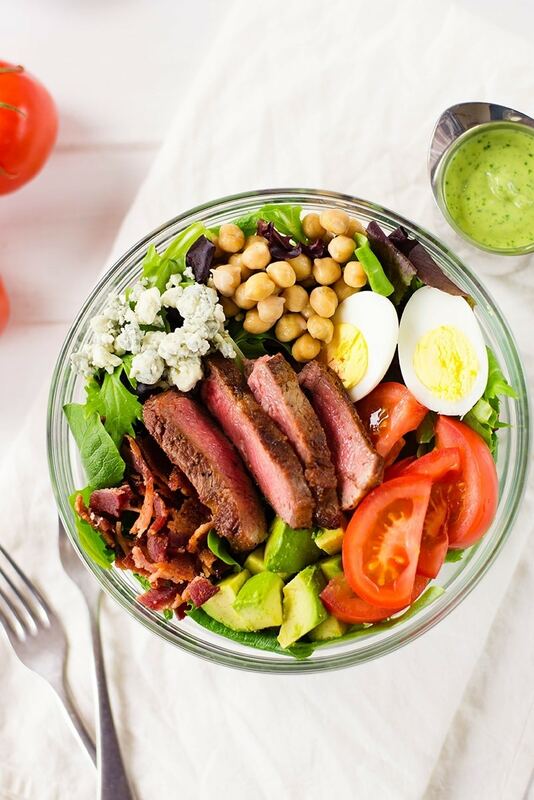 Not all salads are filling and satisfying thoug, but this Steak Cobb Salad With Creamy Avocado Cilantro Lime Dressing definitely is. 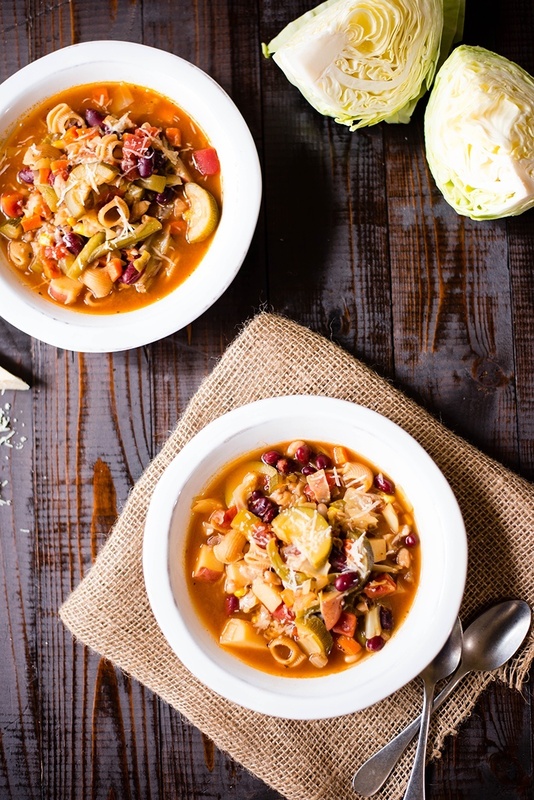 Filled with hearty veggies and amazing flavors, this Minestrone is pure goodness. In soup form. Soups are perfect as easy lunch ideas but they work for light dinners too. 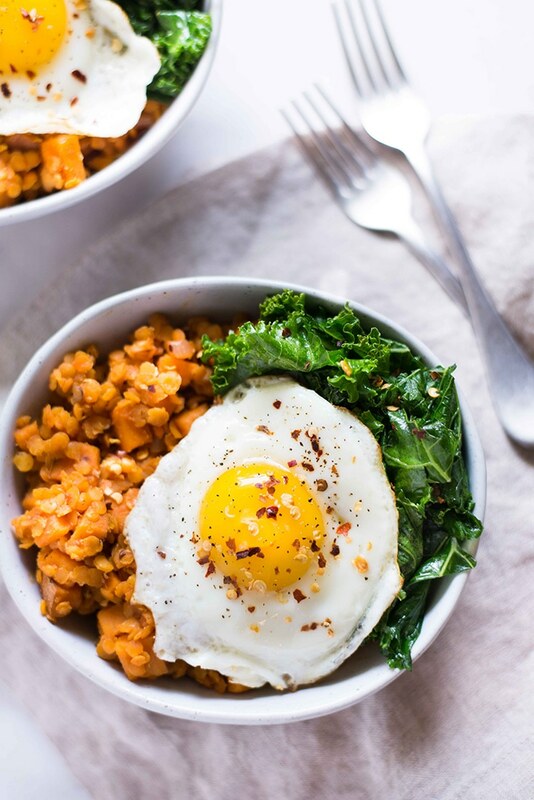 This Sweet Potato And Lentil Hash with Garlic Sautéed Kale is high in flavor but also high in protein. Delicious as well. Also, budget-friendly and healthy. I like my healthy meal ideas quick and easy. 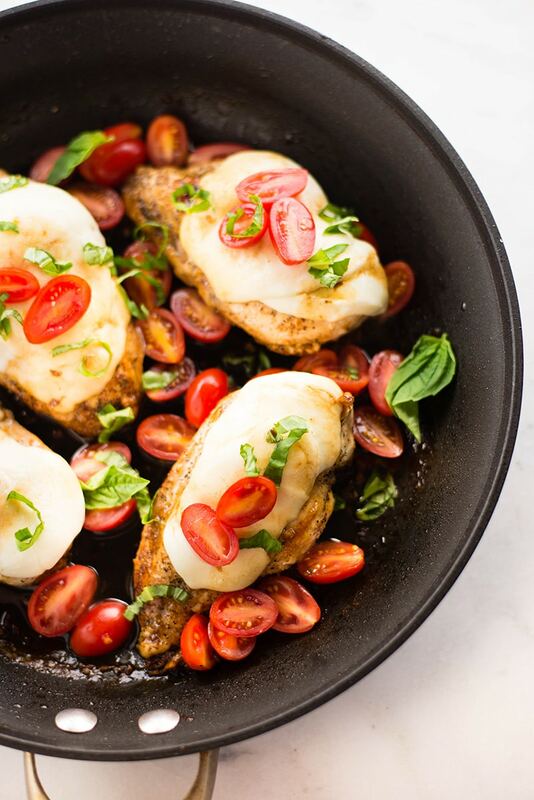 This One Pan Chicken Bruschetta is both. 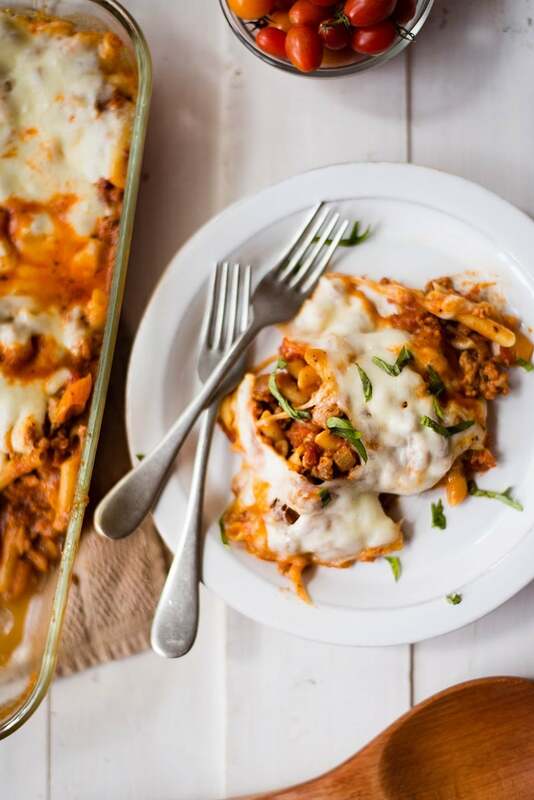 Ready in 25 minutes, no complicated steps, only one pan needed but so flavorful and yummy. 28. HEALTHY CHICKEN MEATBALLS WITH SAUTEED ZUCCHINI | EASY WEEKNIGHT DINNER! 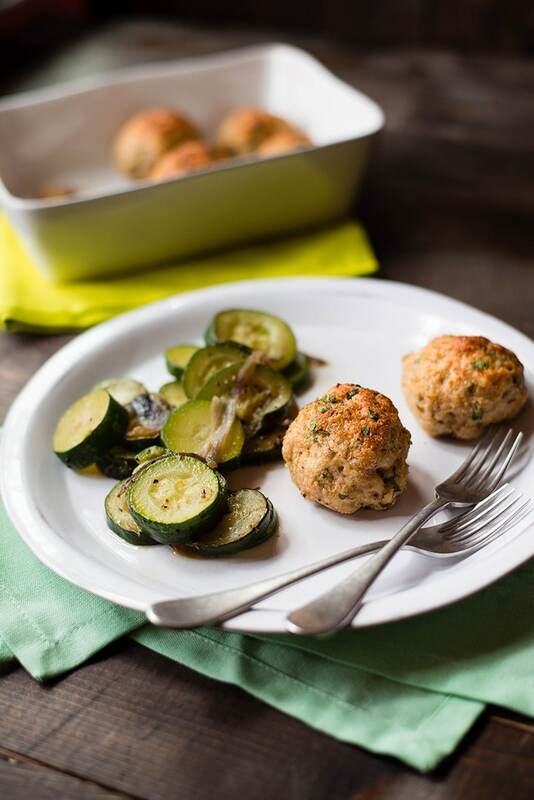 Gluten-free, clean eating, and paleo, these Healthy Chicken Meatballs With Sautéed Zucchini make a great weeknight dinner. Totes delicious and nutritious. 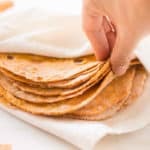 Easy healthy recipes during Taco Tuesday means healthy taco recipes. 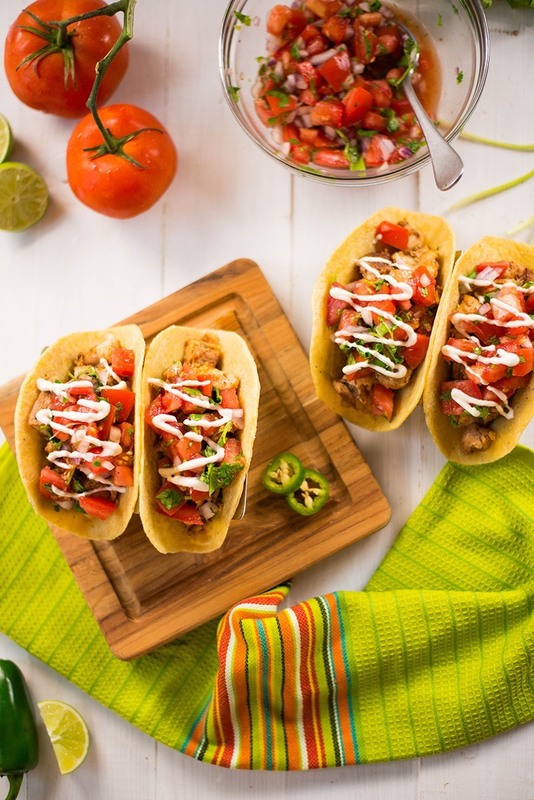 Introducing Chicken Tacos made with chicken, fresh pico de gallo, taco seasoning, and homemade chipotle lime sauce. Yum! 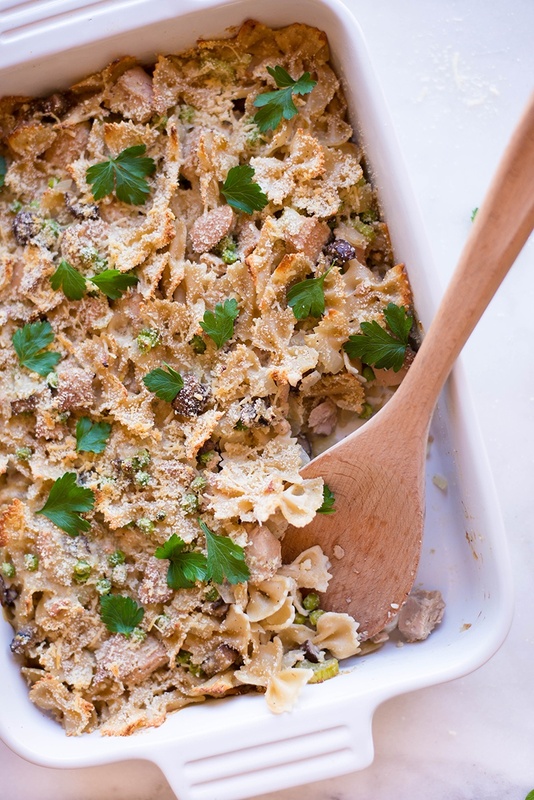 Healthy Tuna Noodle Casserole – easy like any tuna casserole but healthier and better for you. Healthy comfort food is the best comfort food! Quick healthy meals are usually very simple but, in order to love them, they have to be tasty too. 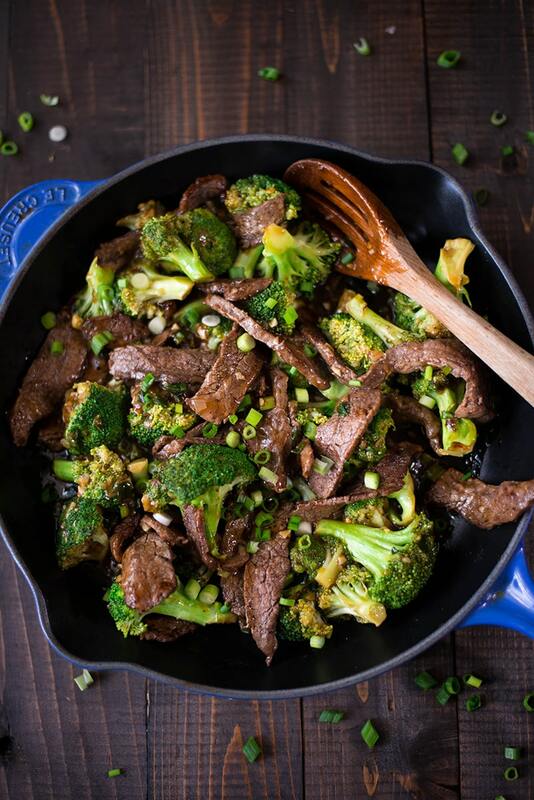 This Healthy Beef and Broccoli Recipe is and it’s ready in just 20 minutes. It’s healthy too, of course. 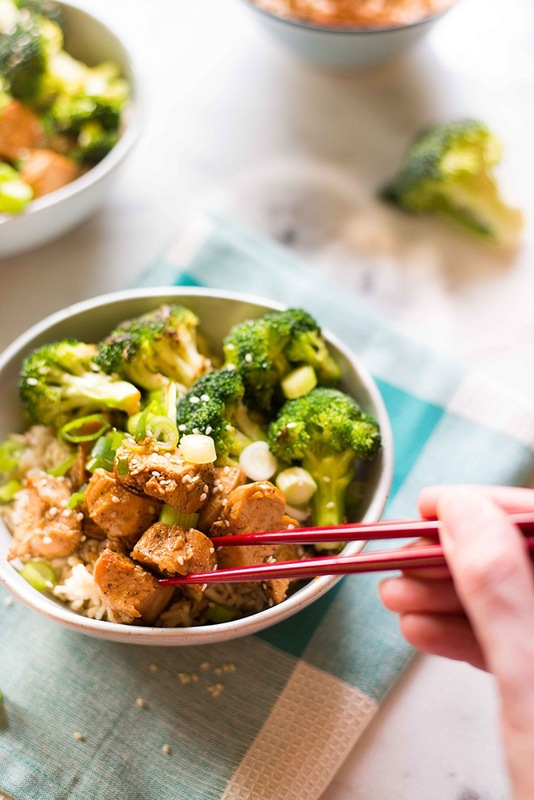 Chicken Teriyaki Rice Bowl is a healthy lunch recipe perfect for grab-and-go lunches but also amazing for an easy dinner. 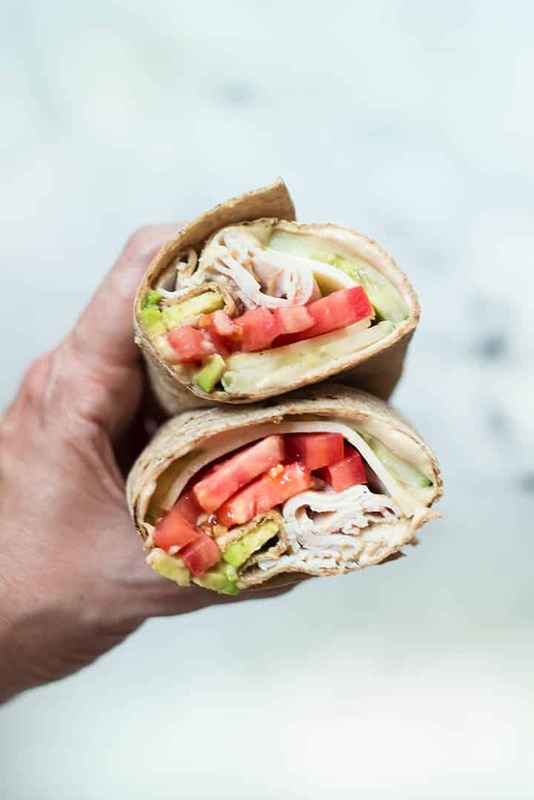 Make Avocado, Turkey & Hummus Wraps and enjoy them for lunch. When it comes to my go-to healthy lunch recipes, I like the ones that are simple, easy, and great for meal prep because it’s great to open the fridge and have healthy options. I shared with you my favorite Chicken Tacos recipe but I have other healthy meal ideas that involve tacos for you. 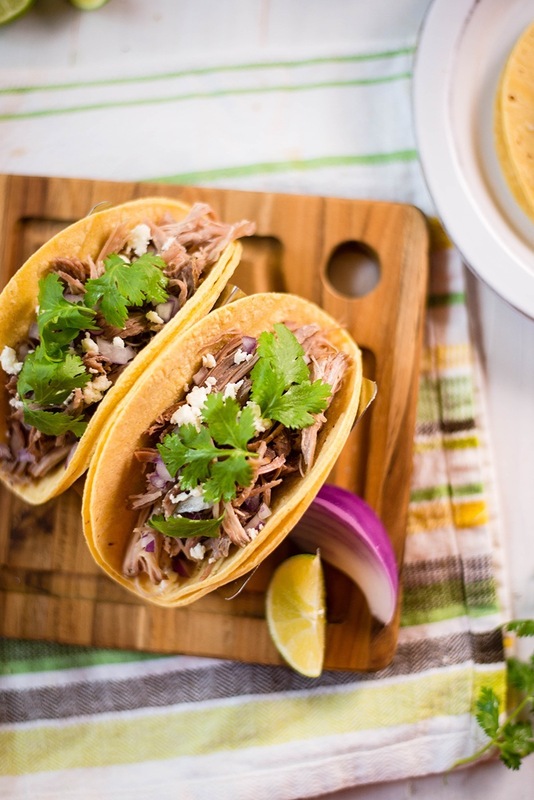 For example, these Slow Cooker Green Chile Pork Tacos. They are so good! 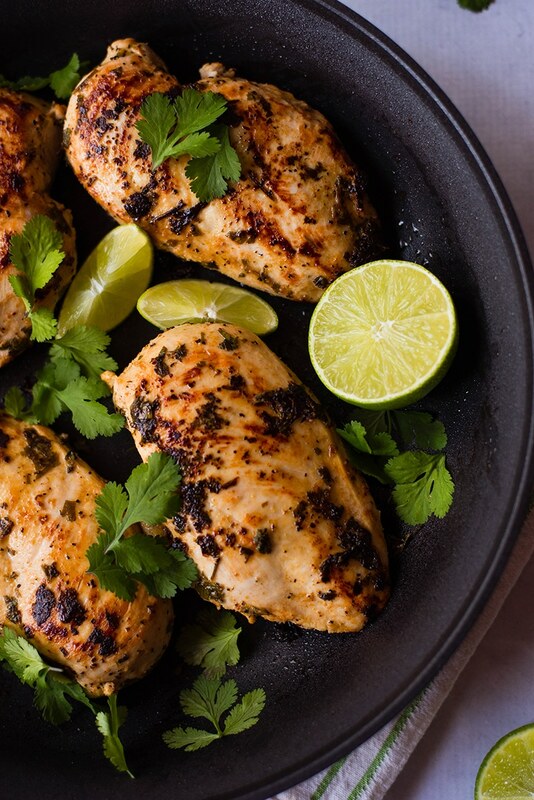 This Cilantro Lime Chicken is made with the perfect chicken marinade for grilling, baking, or sautéing, which means the chicken is anything but bland and boring. 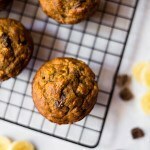 Flavorful, delicious healthy recipes are just the best! 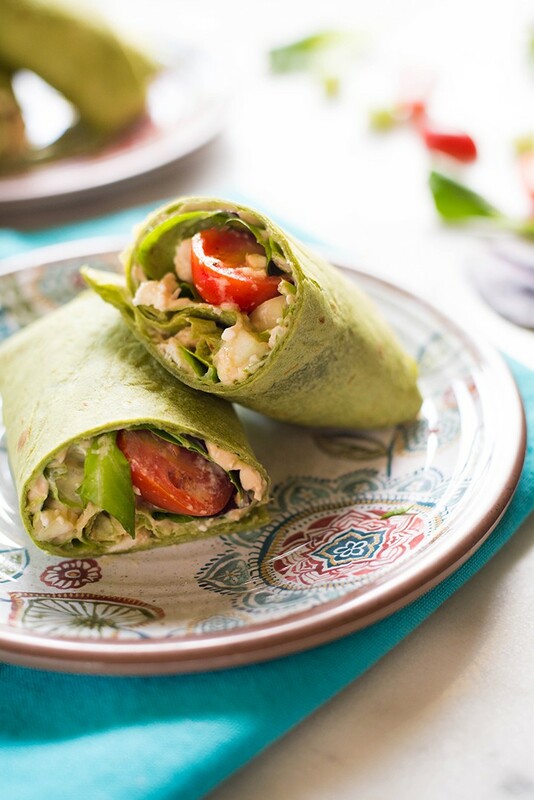 Chicken & Hummus Greek Wrap – here I am again with another healthy lunch recipe. So easy yet so full of flavor and perfect for lunch on the go. 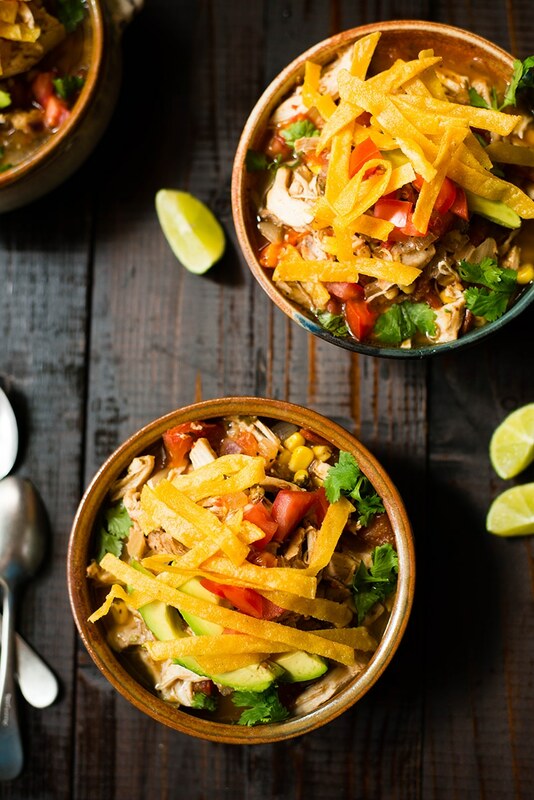 Make this Slow Cooker Chicken Tortilla Soup and you’ll have many healthy meals because the tortilla soup freezes well. That, plus it’s healthy but so darn tasty that you’ll want to have it around all the time. Most people think that delicious healthy recipes cost a lot of money. But you can totally make a list of healthy meal ideas that are budget friendly. 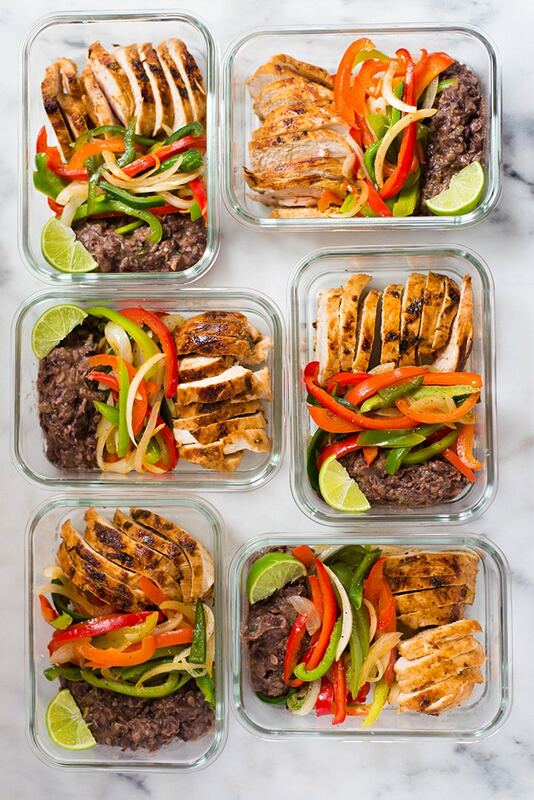 Add the Healthy Chicken Fajitas Meal Prep | Meal Prep On A Budget (Just $3.37!) on the list – it’s delicious and unbelievably cheap. 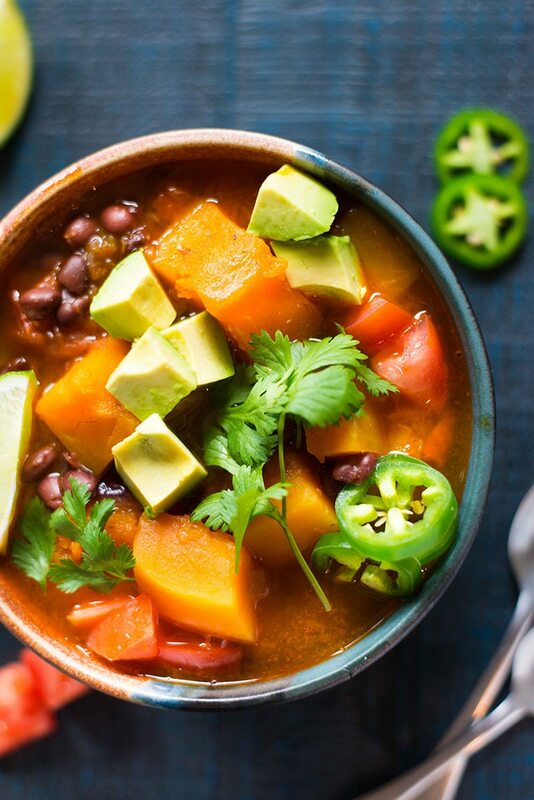 Vegan, hearty, and super fast, this Butternut Squash Instant Pot Chili bursts with flavors and it’s one of the best healthy dishes to make during Fall months. 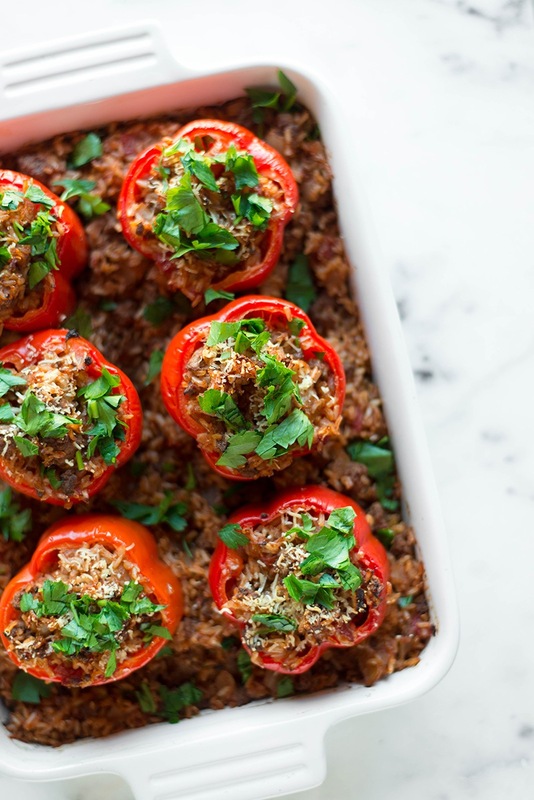 Stuffed Bell Peppers are great for easy healthy meals – they are loved by the entire family, they are healthy, and oh-so-good. 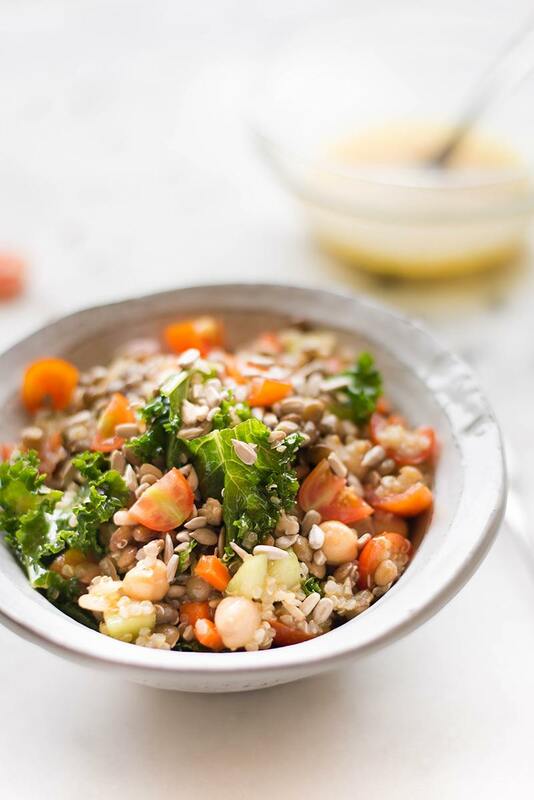 Packed with healthy goodness, this Quinoa Lentil Salad with Lemon Vinaigrette is perfect for a healthy detox. Lunch bowls are the easiest healthy lunch recipes. They are versatile, packed with healthy goodness, and very quick to put together. 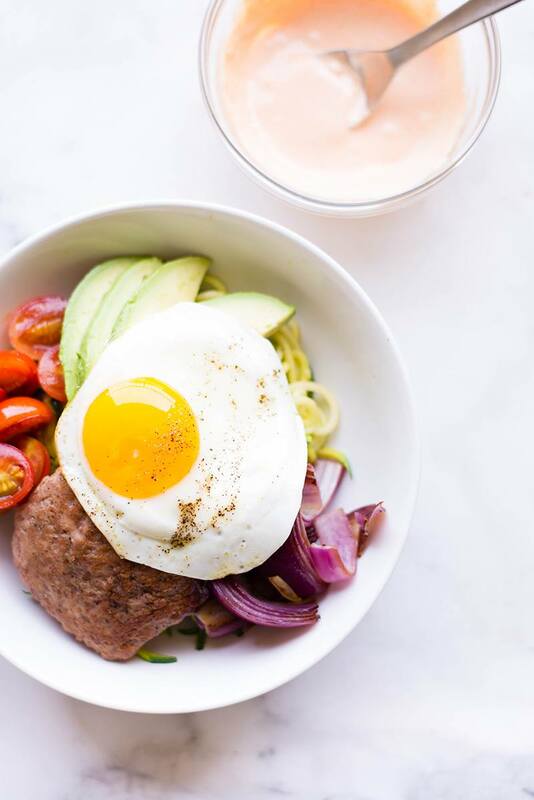 This Low Carb Turkey Burger Bowl with Sriracha Mayo is no exception – it’s nutritious, very tasty, and it makes for a filling lunch. 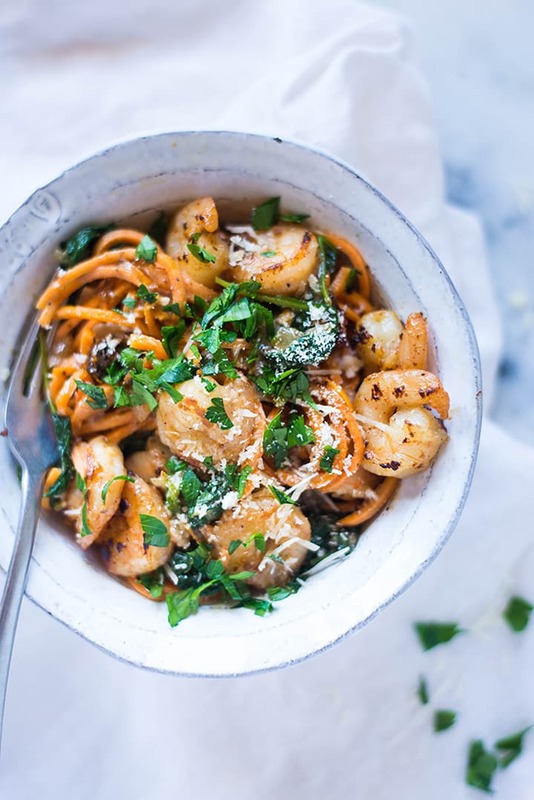 If you use almond milk instead of cream and sweet potato noodles instead of regular pasta, you can make healthy Creamy Garlic Tuscan Shrimp. Simple healthy recipes can be fancy too. Surprise your family with healthy dishes that do not taste or look healthy like this Healthy Baked Chicken Parmesan. This recipe is a lighter and healthier version of the well-loved classic chicken parmesan. All meals can be turned into healthy meals. Including your favorite Thai dishes. 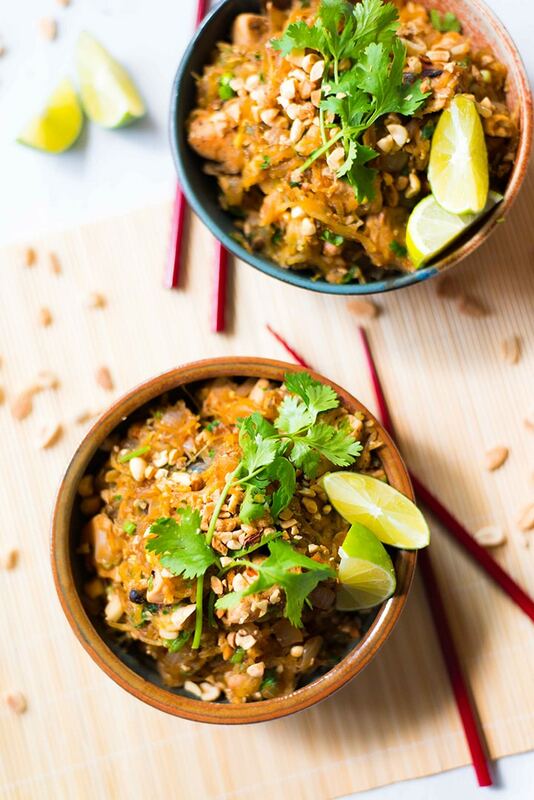 Just look at this Spaghetti Squash Pad Thai recipe if you don’t believe me. 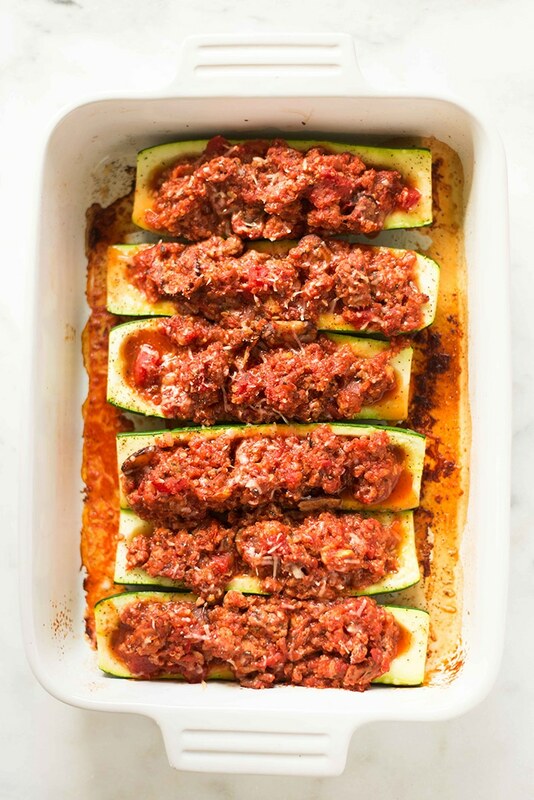 This Turkey And Quinoa Stuffed Zucchini Boats recipe belongs on your list of healthy dinner ideas – it’s great for a weeknight dinner and quick too, just 35 minutes to make it. Cauliflower is such a wonderful and versatile ingredient that is great in many simple healthy recipes. 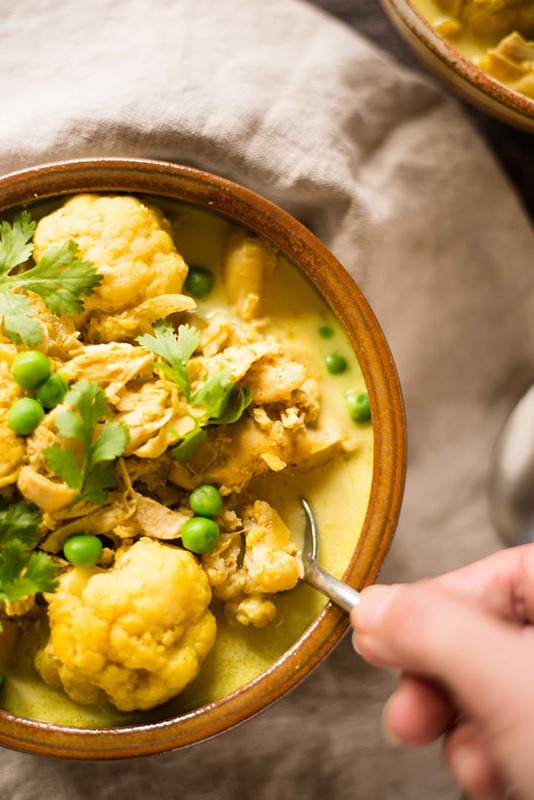 You can easily turn it into rice and serve it as a side dish but you can also make this Slow Cooker Chicken Cauliflower Curry for a full delicious meal. 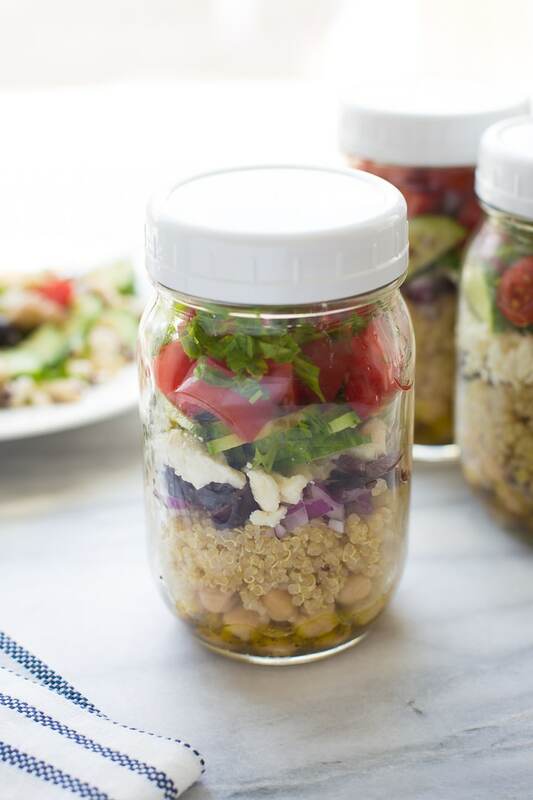 Mason jar salads are the best easy lunch ideas. They are quick, easy, and yummy. 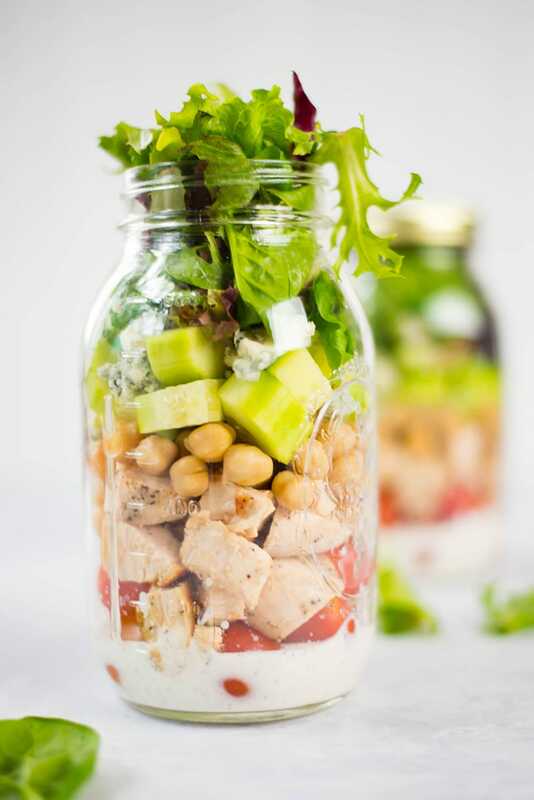 Here’s a Chicken Cobb Mason Jar Salad recipe you can try for lunch. 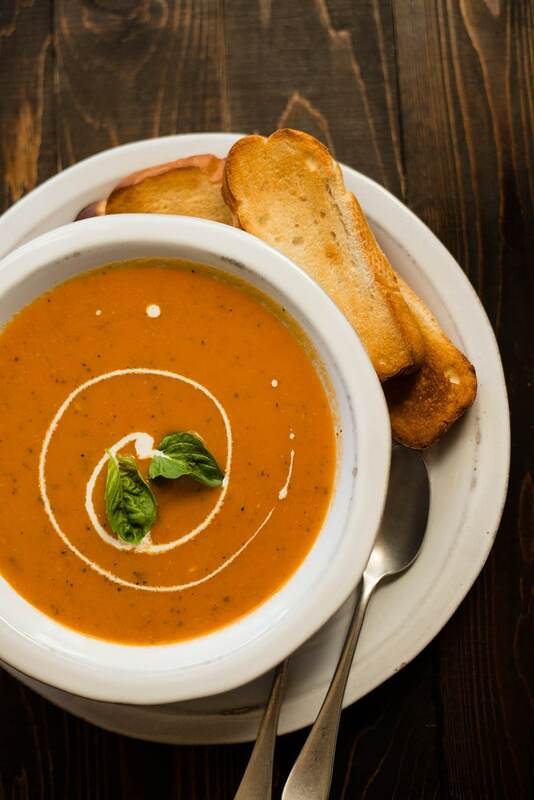 Fresh, simple, comforting, and totes delicious lunch idea – Cream of Tomato Soup Recipe. Only 208 calories and ready in 35 minutes. Everybody loves steak – it’s easy to make and it goes with many different sides. 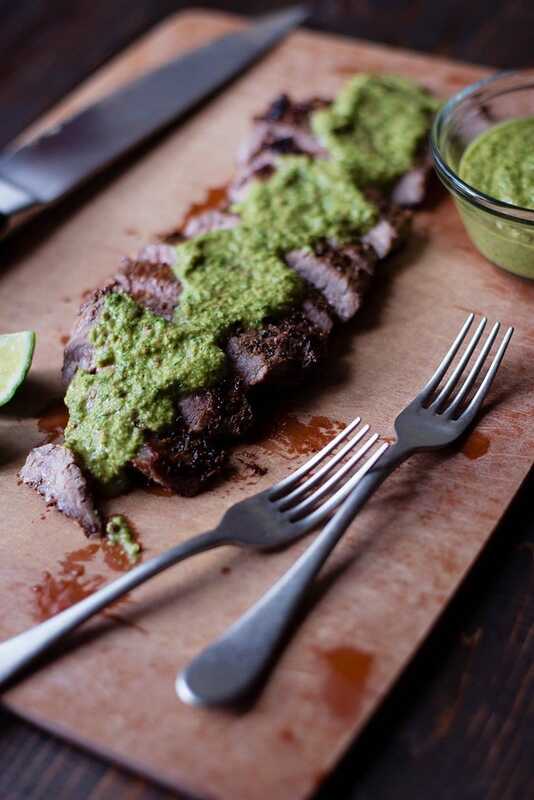 I like Flank Steak With Chimichurri Sauce a lot. Healthy dinner is easy when I make it. And the Chimichurri sauce is to die for. This post contains affiliate links for products I highly recommend and use often. Thanks for sharing all the receipts of the healthy food. I must try this all this food. I like your blog. Keep sharing new blog.